Ambassador ad personam. Ambassador Piekarski holds experience in numerous departments of the Ministry of Foreign Affairs. Ambassador ad personam. Ambassador Piekarski holds experience in numerous departments of the Ministry of Foreign Affairs, including having served in senior positions in the Middle East and Asia Departments as well as having acted as executive director. In 1994-1997 he acted as Head of Diplomatic Protocol at the Ministry of Foreign Affairs. 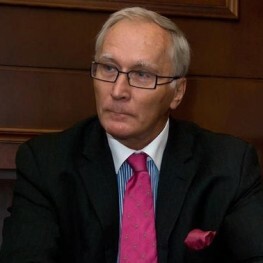 He was also a Secretary of the Polish Embassy to the Islamic Republic of Iran (1977-1981), Ambassador of the Republic of Poland to the Islamic Republic of Pakistan (1984-1989), Head of the American Affairs in Baghdad (1991-1994), Ambassador of Poland to the Kingdom of Belgium and the Grand Duchy of Luxembourg (1998-1989), as well as and Ambassador to the State of Israel (2003-2006). Awarded with numerous national and international distinctions. Former lecturer of diplomatic protocol and issues of Middle East region at the National School of Public Administration (KSAP), Warsaw School of Economics and Academy of Diplomacy in Warsaw. He is also one of the lecturers of the Academy of Young Diplomats (a one-year programme organised by the European Academy of Diplomacy), and gives trainings on diplomatic protocol and public speeches on international relations.